Health professionals are preparing for an expected doubling of the 65 years and older population within the next 30 years, creating medical need to address the pain that often becomes a prevalent companion to age. While modern pharmaceuticals have developed opioids and non-steroidal therapies for reducing chronic pain, the drugs are often accompanied by addiction and unwanted side effect concerns. However, Skinvisible, Inc.’s (OTCQB: SKVI) recently announced non-binding merger with Quoin Pharmaceuticals Limited is creating a partnership that may provide alternative solutions at a time when they are needed the most. Quoin’s products include QRX001, which will provide 72 hours of effective non-opioid pain relief to post-surgical patients, and QRX002, which is an anticipated once-a-day solution for military PTSD patients at risk for suicidal tendencies. QRX001 will be formulated with an NMDA receptor antagonist that has undergone almost 30 pre-clinical trial studies in the United States. The studies have shown that sub-anesthetic doses of the compound reduced morphine consumption controlled by the patient, as well as post-operative nausea and the reported intensity of pain, while adverse events were reportedly mild or non-existent. QRX001 is anticipated to undergo a phase II trial in the coming year. Leveraging these results, Skinvisible and Quoin hope to help reduce the abuse of prescription painkillers, which has received classification as a national health emergency (http://dtn.fm/kv1nB). In a recent study reported in JAMA Surgery, 36,000 post-operative patients’ painkiller use was tracked over the course of a half year. The study found that five to six percent of the patients “continued to fill prescriptions for opioids long after what would be considered normal surgical recovery” (http://dtn.fm/R9LgK). In 2016, drug overdose deaths, the majority of them blamed on painkiller dependency, reportedly rose nearly 20 percent over those reported in 2015, according to the New York Times (http://dtn.fm/YUlE7). The Centers for Disease Control and Prevention reported that opioid-related deaths quadrupled between 1999 and 2015 on par with a commensurate increase in the sale of prescription opioids to pharmacies and medical offices during that period (http://dtn.fm/0VSIf). This entry was posted in Skinvisible, Inc. SKVI on December 29, 2017 by QualityStocks. Skinvisible Pharmaceuticals is a research and development company that licenses its proprietary formulations made with Invisicare®, its patented polymer delivery system that offers life-cycle management and unique enhancements for topically delivered products. Invisicare holds active ingredients on the skin for extended periods of time, allowing for the controlled release of actives. For more information, visit the company’s website at www.Skinvisible.com or www.Invisicare.com. This entry was posted in QualityStocksNewsBreaks, Skinvisible, Inc. SKVI on December 29, 2017 by QualityStocks. MCOA is a corporation engaged in business including, but not limited to: (1) product research and development of legal hemp-based consumer products containing CBD under the brand name “hempSMART™”, that targets general health and well-being; (2) an affiliate marketing program to promote and sell its legal hemp-based consumer products containing CBD; (3) leasing of real property to separate business entities engaged in the growth and sale of cannabis in those states and jurisdictions where cannabis has been legalized and properly regulated for medicinal and recreations use; and, (4) the expansion of its business into ancillary areas of the legalized cannabis and hemp industry, as the legalized markets and opportunities in this segment mature and develop. For more information, visit the company’s website at www.MarijuanaCompanyofAmerica.com. This entry was posted in Marijuana Company of America, Inc. MCOA, QualityStocksNewsBreaks on December 29, 2017 by QualityStocks. This entry was posted in QualityStocksNewsBreaks, Veritas Pharma Inc. VRTHF on December 29, 2017 by QualityStocks. ChineseInvestors.com, Inc. (OTCQB: CIIX) CEO Warren Wang remains bullish on the future of bitcoin and other cryptocurrencies, and he recently said in a podcast interview that the Chinese-speaking community worldwide is eager to learn more about buying and managing digital currencies. Despite China’s ban on trading cryptocurrencies on a regulated exchange, he noted, many Chinese investors are buying and selling them on unregulated offline platforms. CIIX recently hosted and installed a Bitcoin ATM in the lobby of its San Gabriel, California, headquarters (http://dtn.fm/4YznC). Wang called it the first ever by a Chinese company in the U.S. The company also recently attended a Toronto cryptocurrency roadshow and educational seminar on how to buy, sell and manage these coins, he noted in the interview. CIIX has doubled down on its commitment to bitcoin. It produces a daily video from the NYSE called ‘Bitcoin Multimillionaire’ focused on news of the currency (http://dtn.fm/XdX7l). The company addresses Chinese-speaking audiences worldwide on the subject of investing in bitcoin and other cryptocurrencies, and now, with the ATM, it is actively involved in their trade. Wang has set the goals for CIIX in FY2018 as profitability, lower costs and greater than 100 percent year-over-year revenue growth (http://dtn.fm/fVro3). Wang said that despite the lack of a regulated Chinese exchange to trade cryptocurrencies and the Chinese government’s ”badmouthing” of bitcoin though its official TV media outlet, there is a great desire by the Chinese-speaking people within China and North America to buy, sell and trade bitcoin. Wang said that, in the future, China may organize a regulated market for the trading of cryptocurrencies in order to keep monies involved in that trading within China. “But, until now, this has not happened,” he concluded. This entry was posted in Chineseinvestors.com, Inc. CIIX on December 28, 2017 by QualityStocks. A recent article by the Washington Post (http://dtn.fm/cGzr2) addressed the opioid crisis, suggesting a larger role by leading pharmaceutical drug manufacturers than originally thought. The story alludes to the possibility that “drug manufacturers and distributors turned a willfully blind eye toward illegal drug trafficking.” In the midst of this, there is an opioid epidemic that has been deemed a national health emergency that results in 90 deaths per day (http://dtn.fm/JwiX6) and is growing exponentially, according to the Centers for Disease Control and Prevention. There are increased incentives and growing public and FDA/government demands to address the crisis. Innovators vying to meet critical needs and to combat the opioid issue with alternative, non-addictive and effective products include Skinvisible, Inc. (OTCQB: SKVI) and Quoin Pharmaceuticals Limited. As announced earlier this month, the two companies have entered a Letter of Intent for a proposed merger, with expected completion in early 2018, that will result in a new entity, Quoin Pharmaceuticals Inc. Upon completion of this merger, the new company (combining Quoin’s strengths of pharmaceutical development and Skinvisible’s innovative technologies that enhance delivery and product performance) has tremendous potential to address the significant needs of the pain management market. One of the main areas of Quoin’s focus is to disrupt the opioid market (currently estimated at $6 billion annually in the U.S. alone) and produce and deliver to market non-opioid products that serve as effective and viable alternatives for the immense pain management market. This focus will include all areas of pain management, including critical needs in the post-surgical setting. At least 50 million U.S. surgeries require the use of post-operative pain management pharmaceuticals annually, and it is in the post-surgical setting that about 50 percent of opioid addictions begin. To address the critical demands for effective alternatives to opioids, Quoin will launch one of its first lead products, QRX001, for effective treatment of post-surgical pain. The product, a transdermal NMDA receptor antagonist, delivers up to 72 hours of effective post-surgical pain relief. With the aim of providing alternatives to opioids as well as opiates, numerous clinical studies on QRX001 have shown that sub-anesthetic doses have resulted in a marked 24-hour reduction in PCA morphine consumption. In addition, clinical tests of the NMDA receptor antagonist generated superior results to any single existing product or combination and resulted in mild or absent adverse events, reduced post-surgical nausea and vomiting and reduced pain intensity. With completion of the merger of Skinvisible and Quoin expected in early 2018, the synergies of the merged technologies, expertise and proven track records poise the new Quoin Pharmaceuticals with tremendous potential to address the needs of the immense pain market and tackle the opioid epidemic head-on. This entry was posted in Skinvisible, Inc. SKVI on December 28, 2017 by QualityStocks. Tapinator develops and publishes mobile games on the iOS, Google Play, and Amazon platforms. Tapinator’s portfolio includes over 300 mobile gaming titles that, collectively, have achieved over 400 million player downloads, including games such as ROCKY™, Video Poker Classic, Solitaire Dash, and Dice Mage. Tapinator generates revenues through the sale of branded advertisements and via consumer app store transactions. Founded in 2013, Tapinator is headquartered in New York, with product development teams located in the United States, Germany, Pakistan, Indonesia, Russia and Canada. For more information, visit the company’s website at www.Tapinator.com. This entry was posted in QualityStocksNewsBreaks, Tapinator, Inc. TAPM on December 28, 2017 by QualityStocks. This entry was posted in QualityStocksNewsBreaks, Veritas Pharma Inc. VRTHF on December 28, 2017 by QualityStocks. The wholly-owned subsidiary of Marijuana Company of America Inc. (OTC: MCOA), hempSMART™, Inc. is an affiliate marketing company that develops and brings to market hemp-derived cannabinoid-based formulations that are combined with other natural botanicals to create high quality wellness products. HempSMART’s products are now available on the company’s website, www.hempSMART.com. They include hempSMART™ Brain (http://dtn.fm/vmuZ4), created as a nootropic product; hempSMART™ Full Spectrum Drops (http://dtn.fm/FU9ue), with more bioavailability; and the newly-released hempSMART™ Pain Capsules (http://dtn.fm/fFx1l). hempSMART™ Pain Capsules are formulated with 10mg of full dpectrum, non-psychoactive cannabidiol (CBD) per serving, derived from industrial hemp as the core ingredient, which, along with a proprietary blend of other natural ingredients, delivers an all-natural formulation for the temporary relief of minor pain associated with physical activity. This entry was posted in Marijuana Company of America, Inc. MCOA on December 27, 2017 by QualityStocks. Lexaria Bioscience Corp. (CSE: LXX) (OTCQB: LXRP) CEO Chris Bunka said in an audio interview with the Uptick Newswire Podcast (http://dtn.fm/e1KPR) that the company was not only surprised by how quickly it received its patent for DehydraTECH™; it was also surprised by the broadness of the patent awarded for its utilization in other sectors, which it had expected in 2018 and 2019. The company believes that the new patent has locked up the intellectual property (IP) for its next-generation drug delivery system. LXRP is a food bioscience company based in Kelowna, British Columbia, Canada, that is a technology disruptor for edible CBD. It markets a high absorption hemp oil formula, protein energy bars, exotic teas and high absorption hemp oil capsules to help the human body absorb CBD. Through potential partnerships, LXRP is now working on applying its technology to improving ingestion of several new products, such as beer, candies, cookies, capsules and pills. It owns international patent rights and has pending patents for its technology changing the way cannabinoids enter the body. Its technology provides increases in intestinal absorption rates, lower dosage size, more rapid delivery to the bloodstream and important taste-masking benefits. Bunka also said the market does not completely understand the breadth and importance of the patent LXRP received, which also provided patent protection for potential treatment of Alzheimer’s disease, Parkinson’s disease, heart disease, opioid addition and more. This entry was posted in Lexaria Bioscience Corp. LXRP on December 27, 2017 by QualityStocks. 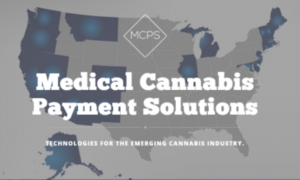 Medical Cannabis Payment Solutions (OTC: REFG) is ready for the future with a seamless transition in the event that Visa or MasterCard (or others) choose to participate in the marijuana industry. In the event of a transition, full spectrum payment processing would be readily available. REFG provides dispensaries and related businesses with a proprietary merchant processing system designed to serve the needs of state-legalized cannabis markets. The company offers exclusive and proprietary card processing services not otherwise available through most financial institutions. The goal is to offer simple, compliant and secure payment solutions. These solutions apply to the entire cannabis industry — not just medical marijuana retailers. A growing number of marijuana dispensaries and other businesses elect not to participate in a cash-only transaction environment. REFG is a first-tier merchant processing cannabis industry pioneer. It offers a state-of-the-art system that tracks sales and tax collection. The mission of REFG is to provide end-to-end management, across multiple management systems, to solve the fragmentation problem of medicinal marijuana operations by identifying tools that are important to them. Offering another processing feature, the company recently announced its partnership agreement with First Bitcoin Capital Corporation (OTC: BITCF) (http://dtn.fm/8xTq6). The agreement will enable marijuana facilities and their consumer clients to conduct payment processing with StateSourced debit cards, in addition to prominent cryptocurrencies such as $Weed and bitcoin. The additional option is available to both dispensaries and consumers, per company reports. Forbes reports that sales of medical marijuana will reach $13.3 billion by 2020, and adult recreational volume is expected to hit $11.2 billion by 2020 (http://dtn.fm/j3GM5). This entry was posted in Medical Cannabis Payment Solutions REFG on December 27, 2017 by QualityStocks. This entry was posted in QualityStocksNewsBreaks, Singlepoint Inc. SING on December 27, 2017 by QualityStocks. Payment solutions company Global Payout, Inc. (OTC: GOHE) this morning announced the release of a year-end letter to shareholders from CEO James Hancock. In the letter, Hancock recaps what he calls an “especially active, yet successful” year for both Global Payout and its majority-owned subsidiary, MoneyTrac Technology, Inc. In particular, he notes the company’s appointment of Vanessa Luna to the position of chief operating officer as a major milestone in Global Payout’s strategic plans. “Without question, one of the most critical events of the year involved the appointment of Ms. Vanessa Luna as Global’s Chief Operating Officer,” Hancock stated in the news release. “Ms. Luna was transitioned over to MoneyTrac to serve as COO and to help spearhead the development of the brand by leveraging the many different strategic partnerships she had already developed within the industry… Once given the green light, Ms. Luna was off to the races, cultivating several new, and incredibly significant partnerships for MoneyTrac.” Hancock concludes the letter by detailing Global Payout’s plans for continued growth in 2018 and thanking the company’s employees and shareholders. This entry was posted in Global Payout Inc. GOHE, QualityStocksNewsBreaks on December 27, 2017 by QualityStocks. This entry was posted in Petroteq Energy Inc. PQEFF, QualityStocksNewsBreaks on December 27, 2017 by QualityStocks. NeutriSci International, Inc. (OTCQB: NRXCF) (TSX.V: NU) (FRANKFURT: IN9) recently announced that it has raised $499,999.95 in a non-brokered private placement (http://dtn.fm/w5XAP), with the proceeds to be used for marketing and advertising of Neuenergy®, its branded blueberry-powered energy chewable tablet (http://dtn.fm/dKJm7). Funds will also go to the company for general corporate purposes. In addition, the company announced that previous president Glen Rehman has been named CEO. The private placement consisted of 5,555,555 units of the company at a price of $0.09 per unit. A unit consists of one common share of the company and a purchase warrant for one-half of one common share. Each full warrant entitles the holder to acquire an additional common share at a price of $0.15 per share until June 6, 2019. Related to the private placement, the company said it paid $31,136 in cash commissions and issued 345,956 finder’s warrants. Each of those warrants entitles the holder to acquire one common share, at a price of $0.15 per share, until June 6, 2019. All securities issued in conjunction with the placement are subject to a hold period that expires on April 7, 2018. NeutriSci International is a Vancouver-based company that specializes in the production and formulation of nutraceutical products, with its primary focus being its Neuenergy brand natural energy and focus supplement featuring the beneficial effects of blueberries. This entry was posted in Stocks to Watch on December 26, 2017 by QualityStocks. Tapinator, Inc. (OTCQB: TAPM) has been successfully growing within the surging mobile games market through its introduction of both licensed and original IP across its portfolio of 300+ games, which have attracted more than 450 million players. One such license is the ROCKY™ mobile game, which the company developed in conjunction with MGM studios. Revenues are generated by consumer app store transactions and branded advertisements. TAPM is a New York City-based company that builds mobile games for the Apple iOS, Google Play, and Amazon App Store platforms. Its team of developers and marketers uses a proprietary and profit-driven set of processes focused on gaming category, player retention and projected profitability. It is currently experimenting with both virtual and augmented reality as these newer markets begin to take hold. The opportunities for growth within the mobile gaming market are immense, with Newzoo Research’s ‘Global Games Market Report’ projecting that mobile games will account for more than half of the total global market by 2020 (http://dtn.fm/vFM24). The total gaming market was projected to reach $108.9 billion this year, Newzoo reported. It also estimated that mobile gaming reached $36.9 billion in 2016 (http://dtn.fm/NnQ3i). What makes TAPM unique is that it focuses on a quantitive approach to generating shareholder value, instead of beginning the game development process with an emphasis on creative alone. Ilya Nikolayev, Tapinator’s founder and CEO, said that TAPM prioritizes games with higher player retention and projected profitability, keeping an eye toward the metrics that show a game can profitably acquire new players. The company applies a pragmatic, profit-oriented strategy in order to ensure that its games are successful in attracting players, and it looks to create series of games from its most successful projects. Additional keys to Tapinator’s success are rapid development and a commitment to constant improvement of its more successful titles. TAPM has also developed a marketing ecosystem that allows the company to cross-promote its large player base from older titles to its newer game launches. Tapinator uses this proprietary player base to acquire between 350,000 and 400,000 new player downloads daily with no spending on external marketing, Nikolayev said in an interview with Forbes (http://dtn.fm/TcAd1). This entry was posted in Tapinator, Inc. TAPM on December 26, 2017 by QualityStocks. MGX Minerals is a diversified Canadian resource and technology company with interests in lithium, magnesium and silicon assets throughout North America. MGX currently owns 34% of PurLucid and has the exclusive right to acquire a 100% interest as well as owning the global rights to recently developed lithium and mineral extraction technologies co-operatively developed by PurLucid and MGX. For more information, visit the company’s website at www.MGXMinerals.com. This entry was posted in MGX Minerals, Inc. MGXMF, QualityStocksNewsBreaks on December 26, 2017 by QualityStocks. This entry was posted in Lexaria Bioscience Corp. LXRP, QualityStocksNewsBreaks on December 26, 2017 by QualityStocks. ChineseInvestors.com, Inc. (OTCQB: CIIX), a diverse educational and consulting company for the Chinese-speaking community in China and the U.S., recently announced that it is spinning off two divisions to allow itself to focus on its new cryptocurrency division. The company is spinning off its wholly-owned foreign entity, CBD Biotechnology Co., Ltd., and its wholly-owned subsidiary, ChineseHempOil.com. An article discussing plans this reads: “It has committed itself to cryptocurrency education and active involvement. It broadcasts a daily video from the NYSE titled ‘Bitcoin MultiMillionaire’. It has also recently reached agreement to host a bitcoin ATM in the lobby of its headquarters in San Gabriel, California. The unit it hosts has been installed by Blockchain BTM LLC. The start of futures trading in bitcoin on the Chicago Mercantile Exchange by CBOE Global Markets, Inc., according to a MarketWatch report (http://dtn.fm/kz6AM), may attract even more investors and simplify the process of gaining exposure to bitcoin for both retail and institutional investors. CNN reported that the new futures trading has spurred even more interest from the investor community (http://dtn.fm/MMlF8). This entry was posted in Chineseinvestors.com, Inc. CIIX, QualityStocksNewsBreaks on December 26, 2017 by QualityStocks.